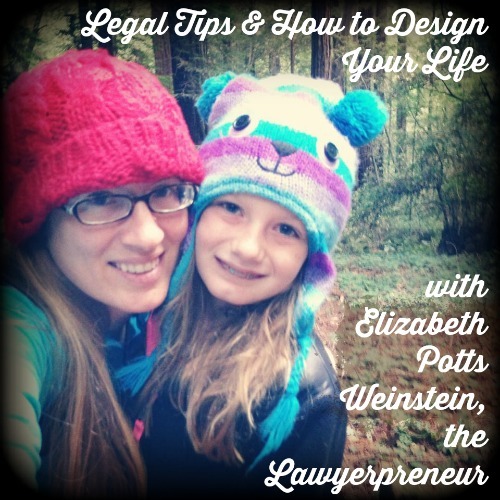 Elizabeth Potts Weinstein is a lawyer, writer, and explorer. 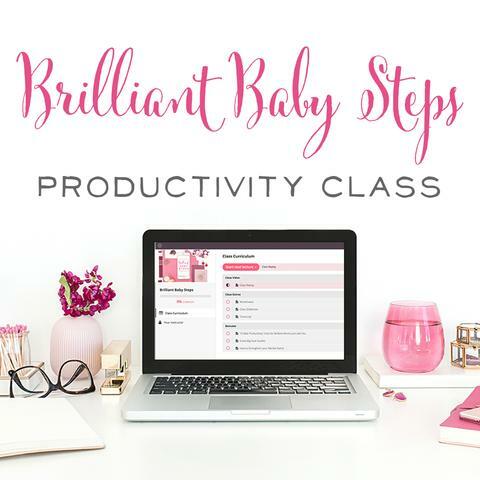 As a small business attorney, she helps entrepreneurs, artists, coaches, and consultants to find simplicity in the law, so they can get back to spending their time helping their clients and changing the world. 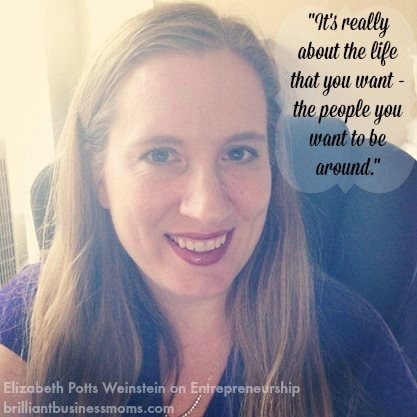 Not only is Elizabeth a successful entrepreneur, she is also a single mom. She and her nine year-old daughter live in an apartment in the Silicon Valley with one cat, nine+ Apple products, twenty-one containers of craft supplies, and hundreds of books. Elizabeth got rid of the things she didn’t like about the law to create her dream job. 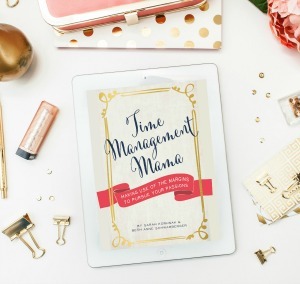 • No demanding clients that she is unable to relate to – Elizabeth chooses small business owners and people with alternative businesses who want to change the world. • Very infrequent in-person meetings. 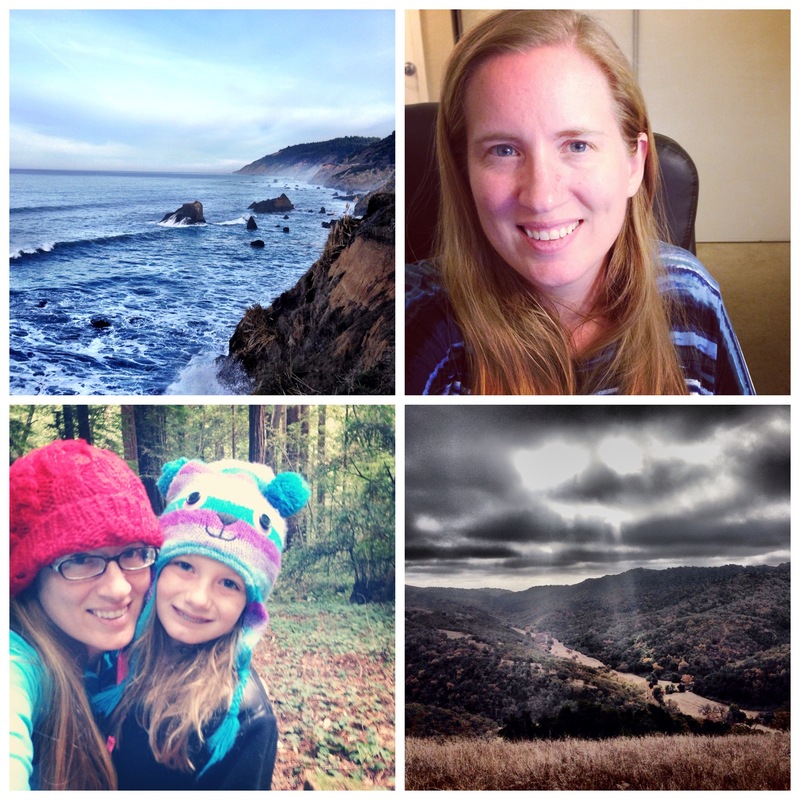 Elizabeth is an introvert, so Skype and working from home are ideal solutions for her. 1. Elizabeth states what and who she is NOT. She’s not an attack-dog lawyer. She doesn’t have a fancy office or wear fancy clothes. You won’t find awards on her wall. 2. She uses the exact words and phrases that her ideal customer would use. 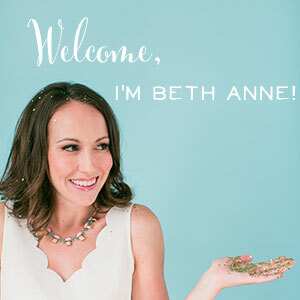 When she started her current business, Elizabeth told everyone she knew about it. 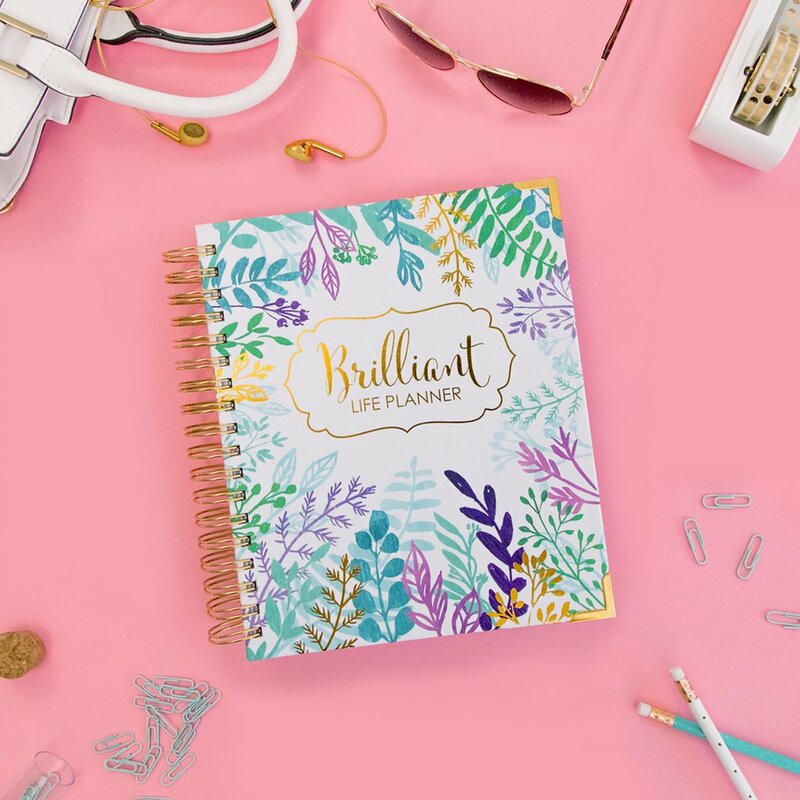 She listened to her ideal clients describe what they were looking for in terms of legal advice or a business lawyer, and she used those same words in her marketing and on her website. Most individuals outside of a certain field use different terms than the experts do. Elizabeth makes sure to use the terms that her ideal customers will use and relate at their level. 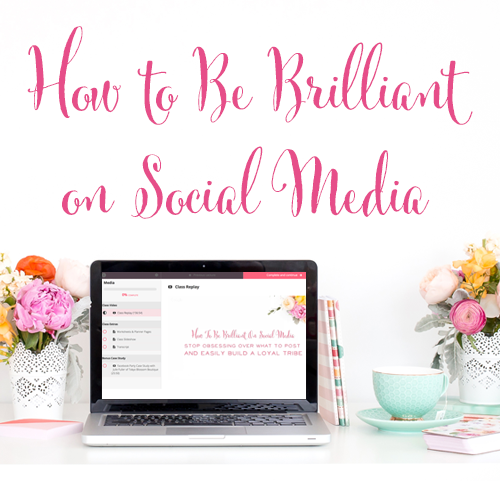 It’s kind of like when you put up your profile on a dating website,” Elizabeth says, “be really specific and state what you want so you get dates with the right kind of people – it saves everyone time! You may not be handing out business cards at your local chamber of commerce (Elizabeth is pretty sure she doesn’t have business cards anymore!) but connecting with others is still vitally important. Oftentimes, someone who knows Elizabeth will see a legal question in a Facebook group. This person will tag Elizabeth and let them know that she may have the answer. Elizabeth is always paying attention to what people need and meeting those needs within her business. She also has a sizeable email list, because she’s been doing online business for over 10 years. Business is still all about personal contact but in different ways. 1. Start as a Sole Proprietor until you really start earning money. 2. Your business should have its own bank account. 3. Use a separate credit card for your business. 4. Make sure you have a written agreement if you hire someone to help with your business in any way. Ex. – You hire someone to help with your website or marketing. Even if you can’t afford to hire a lawyer, that written agreement makes things really clear. You may have 20 emails back and forth between you, but the written agreement spells everything out. Both parties understand what tasks were to be done and how much will be paid for them. Elizabeth says there is a huge list of stuff she doesn’t do because she owns her own business. Well, no, you can have a whole lot, but you have to pick what those things are. It really comes down to being picky and designing how you want both sides of that life to be. Elizabeth has 3 tiers of services within her business so that she can meet a variety of legal needs that entrepreneurs might have. 1. If a small business owner just needs to pick Elizabeth’s brain on a few questions, they can pay by the minute to call her via Clarity. 2. 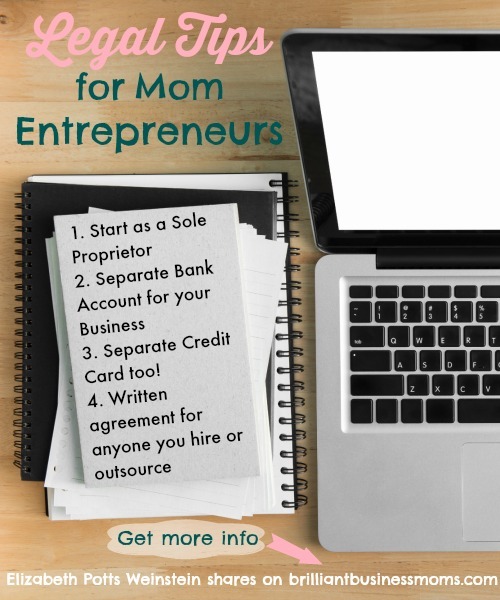 For someone who is starting a business or turning a hobby business into a full-time gig, Elizabeth offers a start-up plan that provides contracts, sets up the website, incorporates you, and provides legal counsel. 3. Larger businesses can hire Elizabeth as their outside general counsel. This is a much more extensive relationship because the business is more complicated and requires more legal input. Elizabeth also follows the principle of giving away tons of value for free. 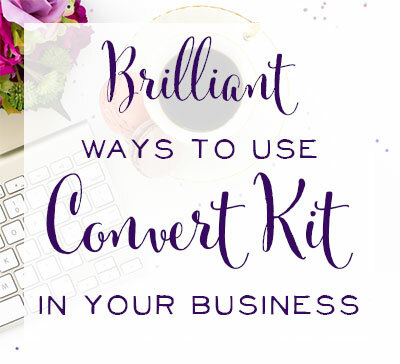 There are plenty of checklists and excellent free materials on her website. Elizabeth also has a paper calendar on the fridge so that her daughter can go and read it. Her daughter then understands what her life will look like for the next week which is important to her. Elizabeth is also trying a new trick that’s very low-tech but will hopefully save a lot of time: cooking all her meals in one day for the whole month. Did you learn some new legal tips for your business? How about tips for designing your dream job so that you can have more time for the things that matter most? You might also enjoy listening to Trademarks, LLCs, & Other Legal Tips with Nellie Akalp of CorpNet.